2 ½ hours from the outskirts of New York City and Philadelphia, just 45 minutes west of Monticello, NY and east of Scranton, PA. Our lush campus sits secluded at the end of a dirt road, on over 235 acres of rolling countryside, surrounded by thousands of acres of farmland. We can comfortably accomodate groups ranging from 50 to 1000 people in our private rooms, comfortable cabins, tents and lean-tos! Our top notch team can organize, facilitate and schedule as many activities as you may require ranging from a fully scheduled, action packed event to a more relaxed expereince. With both outdoor and indoor facilities, we can accomodate any activity come rain or shine! Camp Towanda’s facilities are numerous. 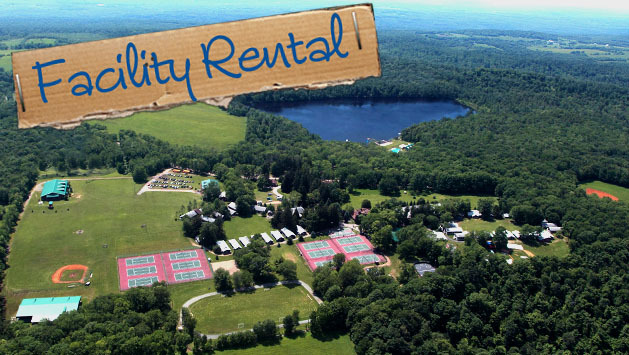 Camp Towanda is experienced in hosting private parties, reunions, retreat workshops, company picnics, bar-mitzvahs, weddings, all school groups, teams, bands, clubs, organizations and so much more. We are capable of providing high level entertainment, catering (from simple, to extravagant) and activities or just providing room and board. Camp Towanda always aims to exceed your expectations with our facility, activities, staff, management, ambience, comfort and beautiful natural setting. Please contact us for more personal service or to answer any questions you might have.